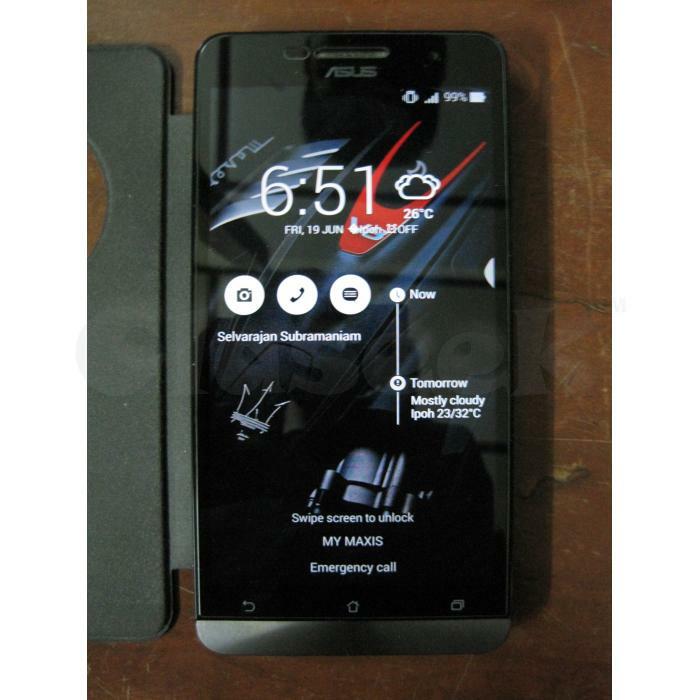 I have a Asus ZenFone 6 to sell or swap. Below are the spec :- - Size : 6.0 inches (~70.5% screen-to-body ratio) - Protection : Corning Gorilla Glass 3 - OS : Android OS, v4.3 (Jelly Bean), upgradable to v5.0.2 (Lollipop) - Chipset : Intel Atom Z2580 - CPU : Dual-core 2 GHz - Inter storage / RAM : 16GB / 2 GB RAM - Primary camera : 13 MP, 4128 x 3096 pixels, autofocus, LED flash - Secondary camera : 2 MP Tip top condition with warranty of 9 mths. Can whatsapp me at 6012-4680917 to deal. Selling it for RM650.00 (neg) or swap with other phones that is almost the same spec. I will also include all the accessories together (Original flip case from Asus (Black), Slimamor case & metal case). Already paste the tempered glass for screen protection.